It was a case of ladies first for St Neots Rowing Club at its 2017 Small Boats Head. The club had three wins on the day, all from its female squad, and there were several other creditable performances from juniors and seniors. Jade Hellet had two reasons to celebrate: she won the women’s 1x category and her time of 11mins 19secs landed her the best female sculler pennant, awarded to the fastest female single sculler in the main head race. Etilly Pigg continued her run of fine form by winning the women’s J16 1x category in a time of 11mins 36secs – just five seconds away from being the fastest junior female sculler on the day. The smart money in the women’s masters EF 2x category was on our ‘dream team’ of Ali Brown and Helen Knowles, and so it was perhaps no surprise when they swept across the line in 11mins 9secs to secure their fourth victory this year. 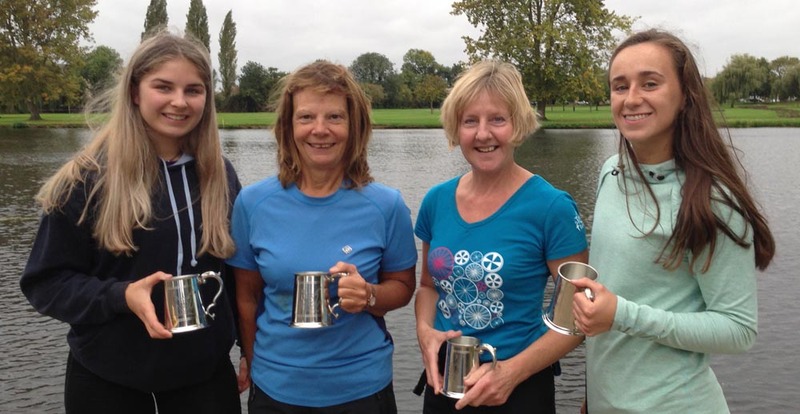 This impressive performance followed wins in Bedford, Sudbury and at our own regatta – and preceded a fifth victory the following weekend at Bedford head. Here’s a summary of results from St Neots rowers and the event’s main awards.